I wanted to start documenting this project. 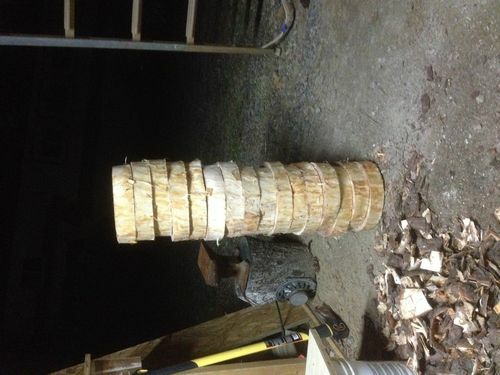 I spent this afternoon slicing pine logs into 2” thick discs. 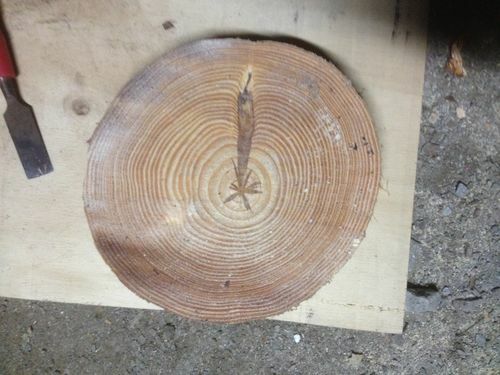 The discs measure 11” diameter with bark. My plan is to make a 60” x 12” buffet table. I’ll have to cut the discs down to 8” to squar them off after the are glued together, so I was thinking of adding a 2” boarder around it in walnut to add contrast. I’m struggling with a design for the legs and the rest for that matter. Good thing I have time while the wood drys. I’ve included a couple of pics . The stack of discs is about have of them. I figure I’ll need 10 for the table top so I cut 30 incase they crack to bad.